Boris the Animal, a criminal Agent K arrested more than 40 years ago, escaped from prison and is determined to go back in time to kill Agent K. Traces of Agent K at present time disappears, with only Agent J remembering him. Agent J time-travels 24 hours before Agent K could get killed. Agent J meets 29-year-old Agent K, who wasn't convinced at first but Agent J convinced him anyway. They both meet alien Griffin, who instructs them to place to Arcnet in the Apollo 11 rocket. With the help of Griffin, they got the military police to 'help' them approach Cape Canaveral. 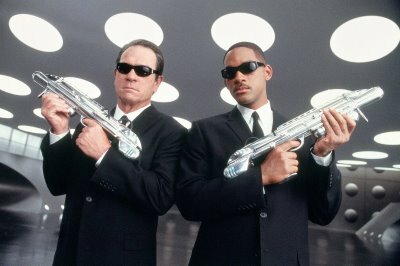 They fought off present-day and future-day Boris until Agent K finally kills him. Will Smith has always been entertaining. I loved his acting at "The Pursuit of Happyness" and well, Tommy Lee Jones is Tommy Lee Jones, no doubt about that. This is the first time I've seen Josh Brolin though and he kinda reminds me of Pierce Brosnan, or maybe it's just the getup. I failed to recognize Nicole Scherzinger (she has a small role as Boris' girlfriend). Maybe she looks too skinny in the movie. 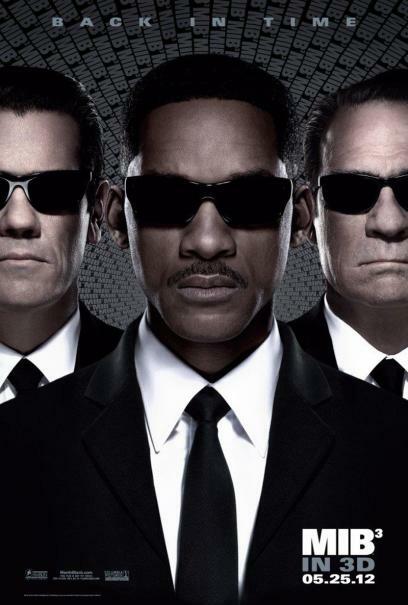 Overall, Men in Black 3 is hysterically funny! There wasn't any boring moment. I was impressed with the effects too! Catch this movie if you haven't watched it yet. This movie is truly entertaining! Haven't seen this yet, but it seems like it's a better option than Snow White and the Huntsman. I've heard some bad reviews about that one.. I love this movie!! Please visit my blog guys :) Thanks!